Located in Plymouth and supporting the South of England, CSUK is a leading provider of emergency and planned maintenance services, covering a variety or sectors from rail and retail, to transport and petrol stations. 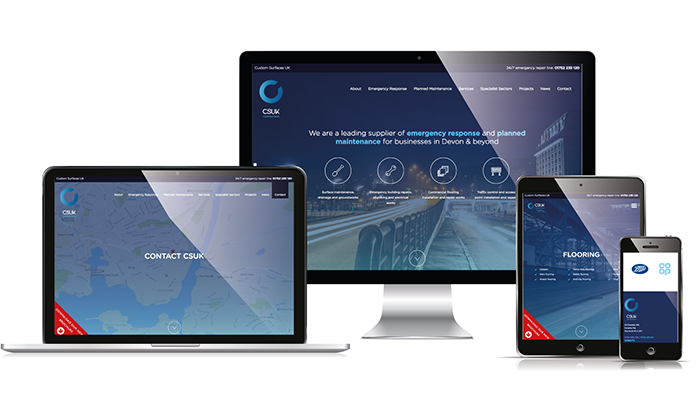 Knowing that they were competing with larger firms to win bigger and better commercial contracts both locally and nationally, CSUK brought the Formedia team in to refresh their brand, as well as designing and rebuilding their website. With creative control, we set to work and presented the CSUK team with three logos before setting on a modern blue concept utilising the ‘C’ in their branding. With a new brand and look agreed, we created a website that informs and engages. All web copy was designed for SEO purposes, clearly outlining the services CSUK provides, making it easy for potential new customers to find the information they need quickly. Now live, the website has already proved to be an invaluable marketing tool. We have put a digital maintenance package in place to ensure the content is always up-to-date and that the site continues to rank highly on well-known search engines. 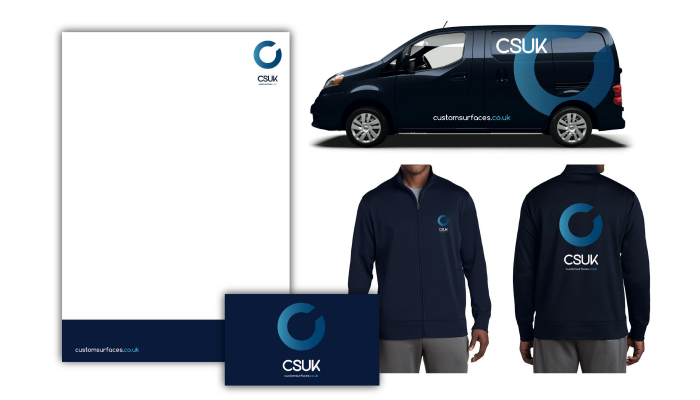 The new brand was implemented across CSUK’s vans, stationery and uniforms. 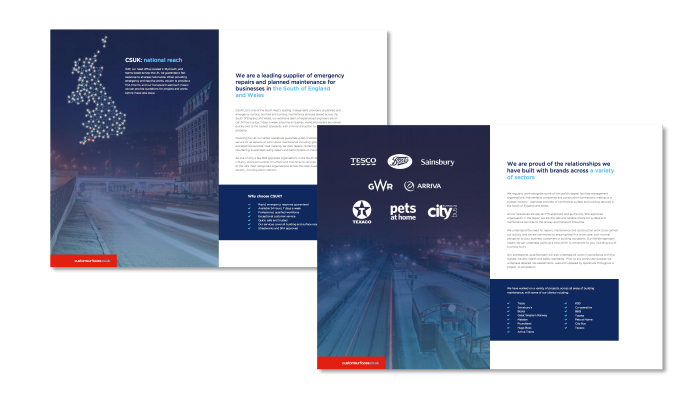 As well as this, the company recently won a major new commercial contract – a direct result of a brochure designed and copy written by our team.